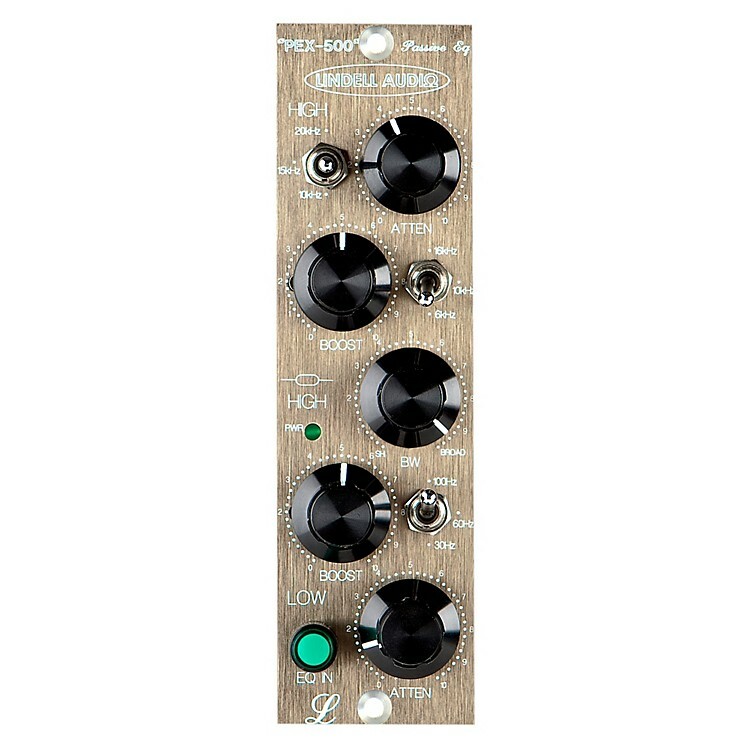 500-series format EQ, with a classic Pultec sound. Taking direction from the classic Pultec design, Lindell Audio created the PEX-500 for 500-series compatible power supplies. Featuring Lindell's all discrete design, the PEX-500 is a one-channel transformer coupled passive equalizer with a 15dB high end and low frequency boost. Insert the PX-500 into your 500-series rack and pass your signals through its optimal circuitry for a full range of sound shaping capabilities.